i Preloved, Reloved, is a store that sells pre-owned furniture and many other home items; business owners Judy and Karen are big fans of everything that’s vintage, and they aim to turn back the clock on discarded items, to restore them, and put them back into people’s homes. 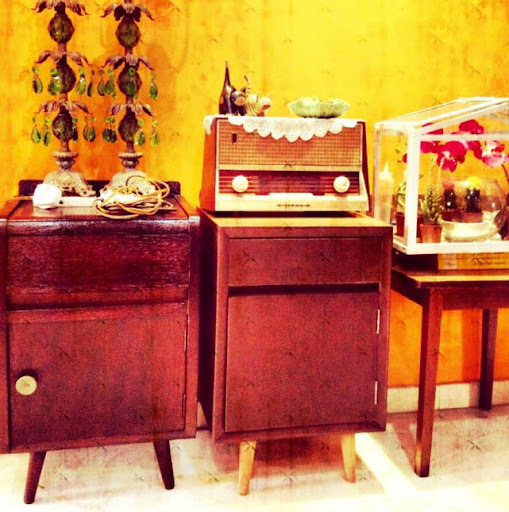 They offer vintage furniture, light fittings, glasswares, and retro style ceramics. Outside of furniture and home items, they also occasionally sell vintage bags and accessories. i Preloved, Reloved, has an environmentally conscious mission to recycle furniture and homeware, and promote this green practice to other people. For customers who are interested in their furniture or other items, contact Judy and Karen at iprelovedreloved@yahoo.com to inquire about availability and prices.